Capital One® has decided to discontinue the Card Lab Connect Program, effective June 17, 2014. As a result, they will no longer issue new cards under the program. Capital One will convert the existing accounts in the program to Capital One branded rewards cards by the end of this year. Click here for more information. With a firm focus on the organization's future and the mission of promoting safety and optimal outcomes in equine-assisted activities and therapies (EAAT) for individuals with special needs, the Professional Association of Therapeutic Horsemanship International (PATH Intl.) 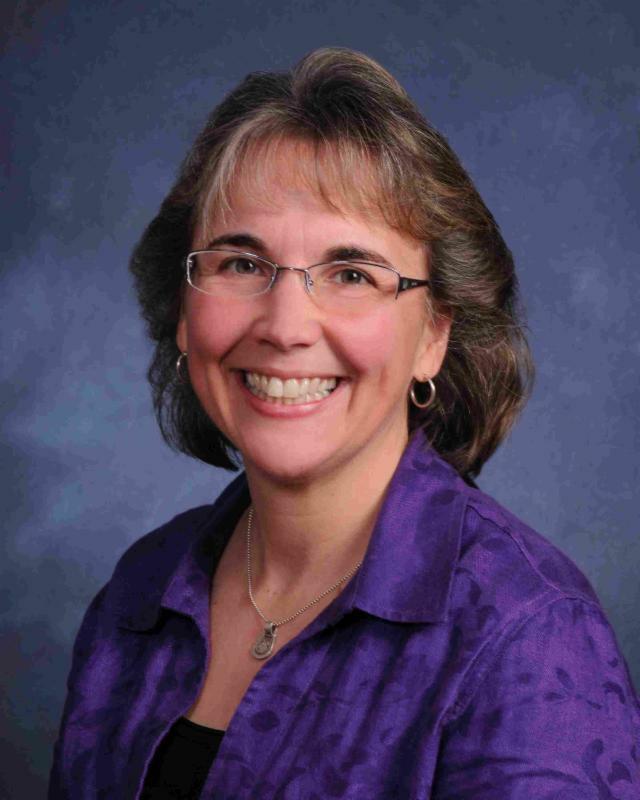 is pleased to announce Kathy Alm as its next Chief Executive Officer. Alm brings to PATH Intl. proven strategic leadership, having spent the last 25 years transforming organizations, guiding their respective boards, staff, donors and volunteers to the realization of their visions. For the last 15 years she served as Executive Director of Little Bit Therapeutic Riding Center, a PATH Intl. Premier Accredited Center in Woodinville, WA, one of the largest organizations in the industry. Read the full press release here. PATH Intl. 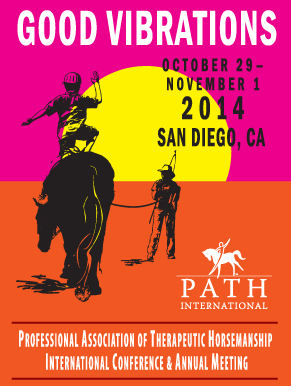 is pleased to announce that we are offering not just one, but two world-class featured presenters at the 2014 PATH Intl. Conference and Annual Meeting, sponsored by Purina, October 29 to November 1, in San Diego, CA. At Thursday's luncheon, you will be re-energized by listening to the captivating and uplifting stories of Aubrey H. Fine, educator, lecturer and animal lover. Dr. Fine will share insights into treating children with ADHD and how to help them build resilience and confidence. He will highlight how equine-assisted activities and therapies can effectively work with this population and make their interactions more meaningful and valuable. Dr. Fine is a licensed psychologist, specializing in treating children with ADHD, learning disabilities and developmental disorders. On Friday during the General Session, world-renowned clinician, trainer and equestrian coach Chris Irwin will share with attendees how to develop a deep bond between themselves and their horses through his evolutionary methodology-learning to think horse, speak horse, and play horse games by horse rules to be the better horse. The General Session concepts and principles will be applied in the arena during a General Session at the Horse Expo the following day. Chris is the author of Horses Don't Lie and Dancing With Your Dark Horse, revealing how the characteristics necessary to building good relationships with horses can in turn be used to discover and heal our deepest wounds and help us reach our greatest potential. Watch your email, PATH Intl. conference page and Facebook for more information on this exceptional conference in the southern California sunshine. Registration information will be coming in July. Staten Island Recreation Association, a PATH Intl. Center in New York, saw some of the worst of Hurricane Sandy's damage Fall 2012. We are proud to announce that through the PATH Intl. 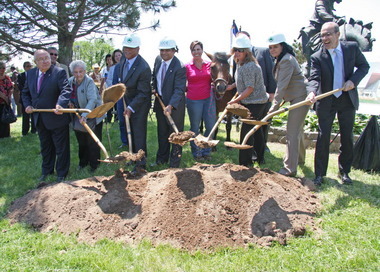 Disaster Relief Fund--which is funded by donors like you--the center had its groundbreaking on Thursday, May 29 (see full article here). Click here if you'd like to donate to help centers impacted by disaster in the future. Thank you for your support of centers during their times of need, and congrats to Staten Island Recreation Association! The research results are in from a study funded by Horses and Humans Research Foundation (HHRF) on using hippotherapy for children with autism spectrum disorder. Data showed that several "life outcomes" were found to be significant. Read the article here. PATH Intl. is seeking videos of equine-facilitated psychotherapy to use in marketing and on its YouTube channel. If you have any videos, please send them (or the YouTube link) to Cher Smith, Communications Coordinator/Webmaster. Videos must comply with PATH Intl. Standards and must have all necessary releases. Thank you! PATH Intl. and SmarkPak are excited to announce their first Horse of the Month: Rascal from Fieldstone Farm Therapeutic Riding Center, a PATH Intl. Premier Accredited Center in Chagrin Falls, OH. "It was not easy to select the first horse," said Courtney Bruso, marketing assistant for SmartPak. "All of the entries were very touching." Rascal received his SmartPak supplements last week. Learn more about Rascal, SmartPak's Horse of the Month. Nominate your horse in June for a chance to win! 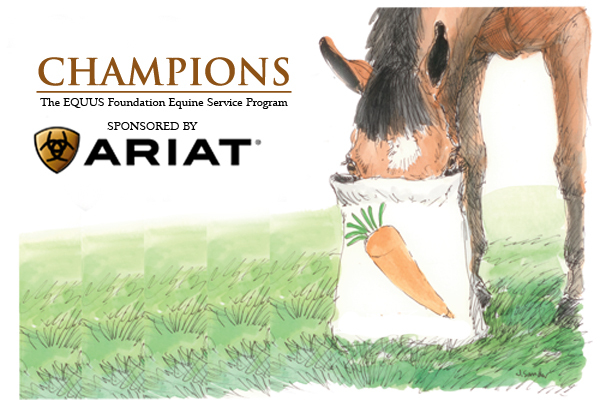 The Horse of the Month receives $100 of SmartPak products for a month. Photos are highly encouraged! PATH Intl. has added its name to the Prevent All Soring Tactics (PAST) Act, joining a long list of equine organizations and veterinary and animal health organizations and professionals who are petitioning Congress to ban soring devices and increase penalties for violations. Click here for the full article.